Which Newsreader Should You Use? After you gain Usenet access, the next step is picking a newsreader. The newsreader is where you will access newsgroups, articles, and/or NZBs. There are tons of newsreaders to choose from, and it can take awhile to figure out what each newsreader offers. Luckily, we’ve done all the research for you. So, which newsreader should you use? See our rankings below to find the newsreader that’s right for you. Many newsreaders specialize in one area. At Newshosting, we built a newsreader that could do everything. The result is the Newshosting Usenet Browser. 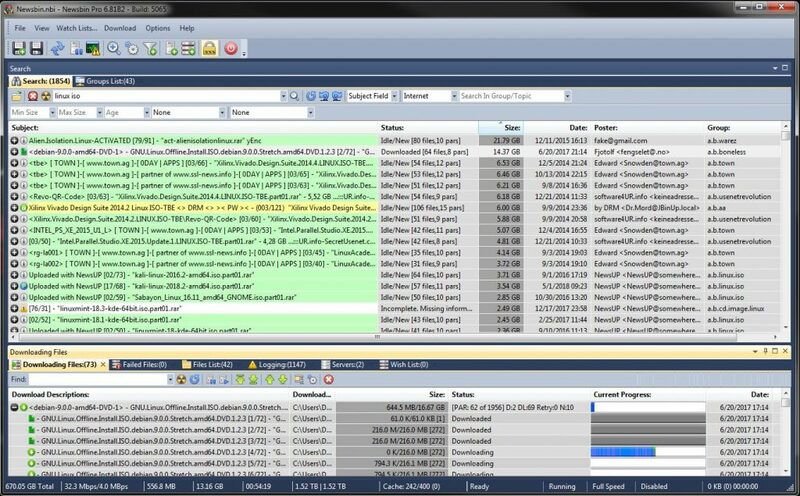 The Newshosting Usenet Browser features both integrated search and full newsgroup access, meaning you can use the newsreader however you prefer. We designed the newsreader to be as user-friendly as possible. With automatic repair, automatic updates, automated search and download, and automated decompression, Newshosting does all of the heavy lifting for you. 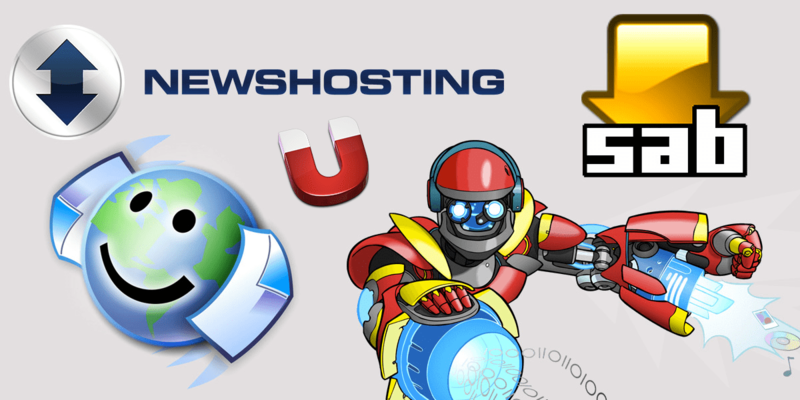 The Newshosting Usenet Browser is included with all Newshosting plans. Since you need a Usenet provider to use a newsreader anyway, signing up for a Newshosting plan and using the free Newshosting newsreader represents great value. Newsbin Pro an incredibly powerful newsreader. It functions much like a web browser, is regularly updated, and features technical support. What sets Newsbin Pro apart is its Usenet Search Service. This is a particularly robust search function. With Usenet Search Service, you can filter out password protected files or .exe files from your searches. The search interface is also high customizable. This quality does come at a cost, though. Newsbin Pro is not free. You can buy a year’s subscription to Newsbin Pro with access to the Usenet Search Service for $30. You can also buy it for $20 without access to the Search Service. Either option gives you access to upgrades and patches for life. They do offer shorter term plans at a lower cost, but you get more bang for you buck with a year’s subscription. You can get a 15 day Newsbin free trial key by submitting a Newsbin trial key request. Once submitted, a free trial key will be emailed to you. Like Newsbin Pro, NewsLeecher is only available for Windows users. NewsLeecher was one of the first clients to support NZBs. NZB files are still fully supported today. One of the most popular NewsLeecher features is SuperSearch. SuperSearch is an integrated search function that lets you search all binary newsgroups at once. NewsLeecher also offers an Auto Downloading service called SuperLeech. This saves a lot of time and effort. Overall, NewsLeecher is not quite as robust as the Newshosting Usenet Browser or Newsbin Pro, but it is a perfectly capable newsreader. Access to NewsLeecher will run you $3.99 a month, making it an affordable option. SABnzbd is a free and reliable newsreader that specializes in binary files. This newreader has been around for a while and features a large community that contributes to its success. 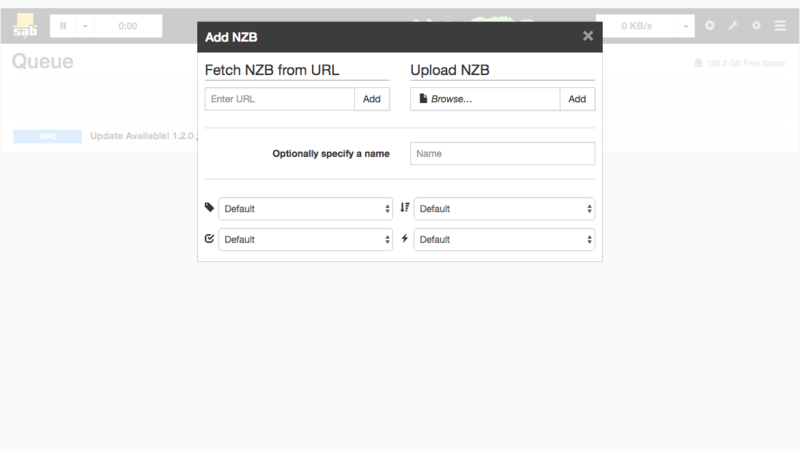 Keep in mind that SABnzbd is a binary only service, so if you’re looking for newsgroup access, it isn’t a good fit. In terms of handling NZBs, however, you can’t do much better. One of SABnzbd’s strongest attributes is the fact that it runs anywhere. It is compatible with Windows, Mac OS, and Linux, and also works on iOS and Android mobile devices. SABnzbd operates in the web browser, making it a very convenient newsreader. It’s also open source, which makes it an attractive option for more advanced users who wish to develop their own code. Unison is a free newsreader that runs on Mac OS. Unfortunately, Unison is no longer in development, so there will no longer be updates or patches to the newsreader. Despite this, many Mac users swear by Unison. Unison’s software offers full newsgroup accessibility, but not fully integrated search. To circumvent this issue, they supplement their lack of integrated search with binsearch.info. 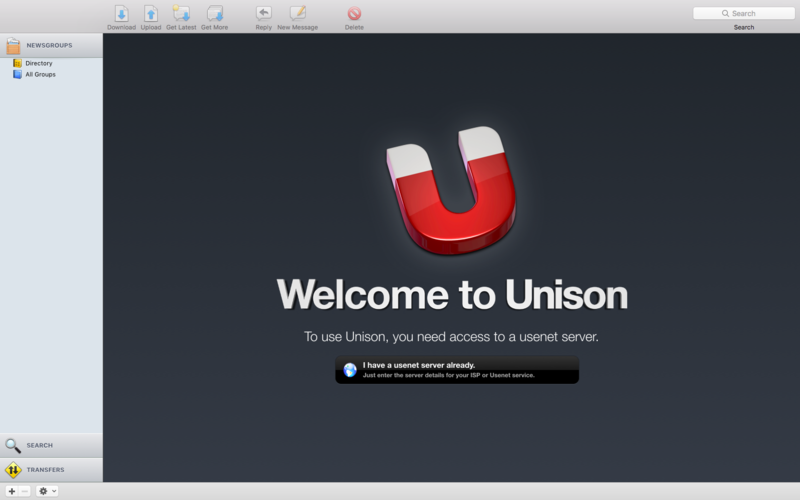 It’s a decent workaround, and for Mac users, it means that Unison offers the same basic capabilities as its Windows counterparts, for free. 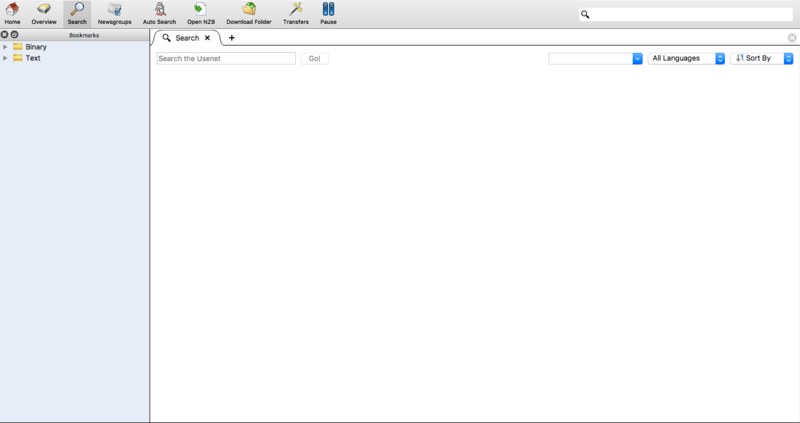 Setup is simple, and although Unison is technically unsupported, it still runs very smoothly. Ultimately, the newsreader you choose will depend on your Usenet needs. The Newshosting Usenet Browser is an excellent all-in-one client that runs on all operating systems. Windows users may enjoy Newsbin Pro or NewsLeecher, as those clients are tailored to their operating systems. The same can be said about Mac users and Unison. If your primary focus is NZBs, SABnzbd is a solid choice due to its widespread compatibility and the fact that it is free. I read that you give a free month’s trial. When I access your site it seems the only options are $9 or $99. If I select the former, is a month given automatically without obligation? I notice you ask for the payment method up front. There is a free 14 day 30 GB trial if you register on the homepage. The 9.99 monthly / $99 annual offer does not come with a free trial. We are considering revising the latter offer to allow for a trial to be added, but that is still in the ideation phase. Your best bet, albeit convoluted, is to start a trial using an offer from the homepage, cancel before downloading 30GB, and start a new account with the $9.99 monthly offer. Hope this helps. I have not been able to download the Usenet Browser. I must have somehow overlooked it when I paid for my subscription, but now I find it impossible to download it because the Newshosting program wants me to pay for a new subscription as if I didn’t already have one. I just signed up yesterday and my subscription includes a 6-day trial period . If anyone knows how to get the Usenet Browser please let me know. Login to the website to download the Usenet browser from the admin panel. A future of version of the site is planned where the browser will be available for download without logging in.